Layers a source input over or under a second source input based on the difference of two depth images. 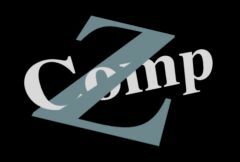 The DepthA input should be a 'z' depth image corresponding to the objects in the first input, and DepthB should be a 'z' depth image corresponding to the objects in the second input. SourceA: The current track. The first input image. SourceB: Selectable. The second input image. Anti Alias: Default: 0, Range: 0 or greater. The amount of depth difference over which to interpolate the source inputs instead of taking just the closer one. Specified as a fraction of the entire depth range: 0 does no antialiasing, 1 interpolates over the entire depth range. Normally larger depth values (white) are treated as farther away and smaller values (black) are treated as near. When this is enabled, these depth values are reversed.